Walk In with a Plan of Action! Whether you are new to dieting, or have been following a healthy, fit lifestyle for a long time, one of the most challenging tasks you may have is going grocery shopping. Sticking to a healthy diet is challenging enough, and navigating the grocery store can be overwhelming when you are super hungry and super tired, especially if you are in those last few weeks of diet mode before a big show, or are dieting down for vacation or a special event. 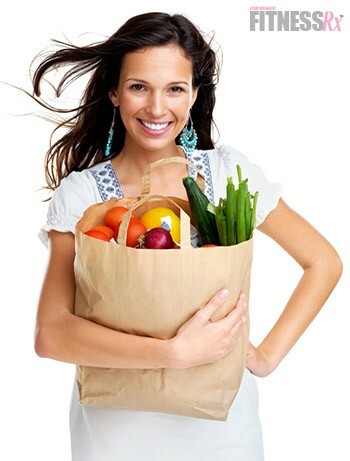 Walking into the grocery store without a plan of action can result in the wrong food choices and a diet meltdown! If you are challenged by grocery shopping, try these five tips on your next trip. Avoid going anywhere near a grocery store when you are hungry, which means do not grocery shop after your workout. If you do, then bring a post-workout meal with you. If you are serious about your results— weight loss and gaining a lean and firm body— then there really is no excuse for not being prepared. It doesn’t have to be a full meal, but proper nutrition within the first hour post-workout will make sure you kickstart the recovery process in that critical time period when your muscles need it most! For ease and convenience, bring a protein shake, combining 1 or 2 scoops of protein powder, with an additional serving of BCAAs, and add 1 or 2 scoops of carb powder. You can find many post-workout powder options that already combine the right proportions of carbs and proteins that are needed post-workout. Consuming this shake is not only convenient, it will also blunt hunger until you get home and are ready to eat your next meal. Make sure you are prepared when you go to the grocery store by bringing a list of food items on your diet, and don’t deviate. Use your smartphone; there are many apps available that can help you develop your list. Consider a wide range of choices, just in case you cannot find a particular item and will require a substitute. For example, simply make a list of carbohydrate, protein and fat choices that will fit into your diet plan that have similar macronutrient breakdowns. Carbohydrates choices could include: brown rice, oatmeal, sweet potato, or even brown rice pasta. Protein choices could include chicken, egg whites, lean red meat, fish, or cottage cheese, while fat choices could include flax seed oil, almonds, or olive oil. Remember, most items that you will need on a healthy diet will be found around the perimeter of the store, with the exception of a few items. Do not venture into the center aisles unless absolutely necessary. 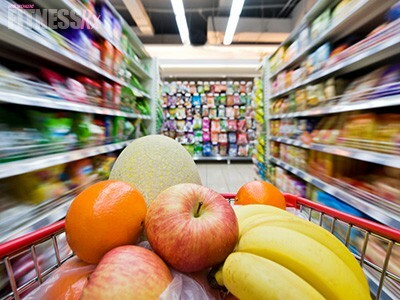 For the most part, the center aisles are home to processed, sugary and fattening foods! Avoid the temptation all together! Most of your cart should be filled with whole and natural foods, including an assortment of vegetables. Keep it interesting by trying new vegetables once in a while. Vegetables are generally low in calories and full of vitamins, minerals, antioxidants and fiber, which are essential when following a healthy diet plan. Nowadays, there are lots of grocery stores out there that offer a better selection of whole and organic foods that perfectly fit into a healthy diet plan. Choose a grocery store that offers a wide range of fresh foods, few processed foods and a selection of all-natural food options. You can also find grocery stores with fantastic salad bars, and even foods that are already prepared, such as plain grilled chicken!